Research and best practice provide evidence of five dimensions that are characteristic of schools successfully utilizing the professional learning communities framework. These dimensions are important areas administrators and teachers focus on as they collaboratively work to increase staff and student learning. 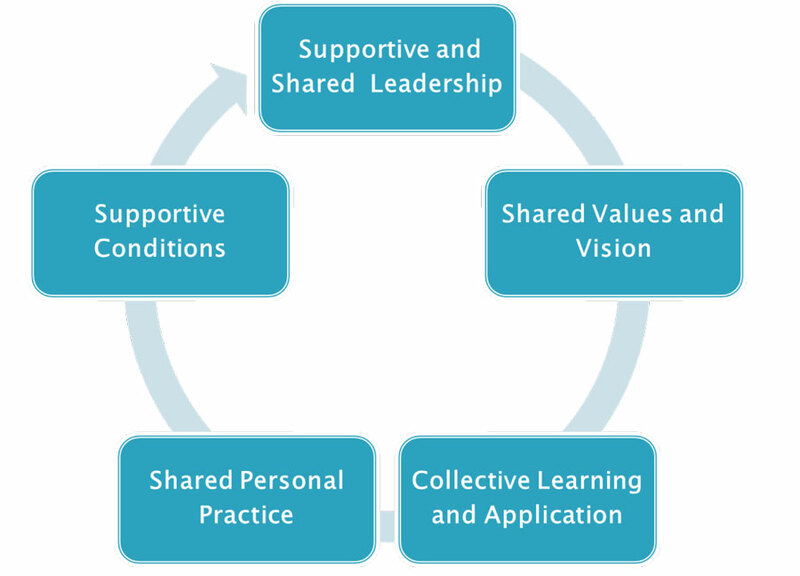 The following graphic illustrates these five dimensions identified as foundational to professional learning communities. The Five Dimensions of a Professional Learning Community identified by Hord, S. M. (2004). Learning together, leading together: Changing schools through professional learning communities. New York: Teachers College Press.